Sometimes it may be necessary to find the date a vehicle was manufactured. Here is how to locate on a car or truck the month and year it was made. 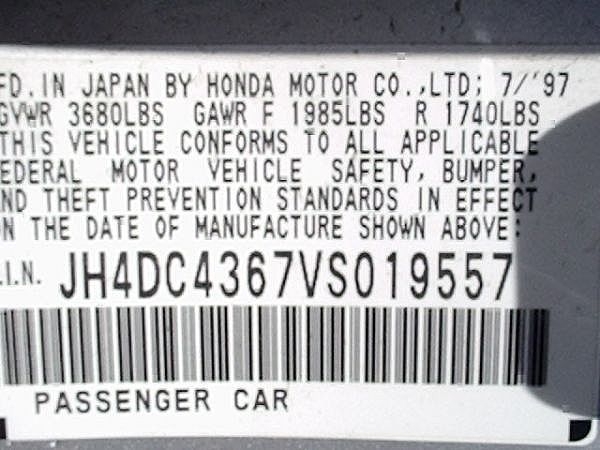 On most vehicles, the date of manufacture is found on a sticker attached to the car frame and is visible when the driver's side door is open. 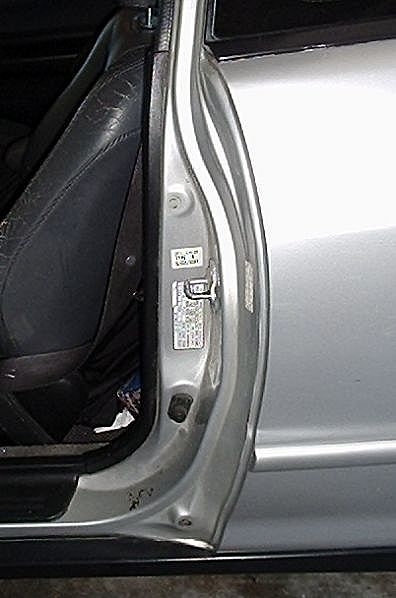 Open the door, and look for stickers on the car frame near the door latch post (U-shaped bolt). There probably will be more than one. 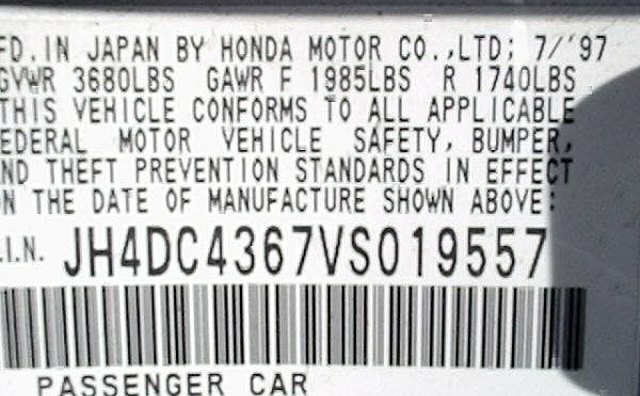 (Click on photo to enlarge) The sticker with a bar code and the vehicle's VIN number is the Safety Standard Certification Label. It contains the month and year of manufacture. In this case, it was made in 7/'97, or July, 1997. Look at the end of the top line for this information. 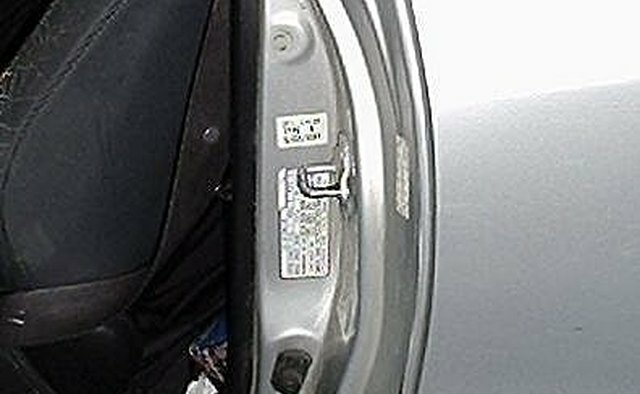 This label is attached vertically on the car frame underneath the latch post. Photo is horizontal for easier viewing.